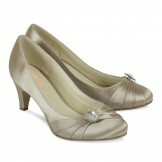 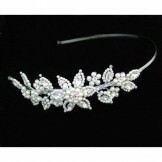 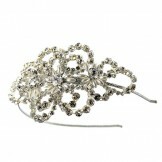 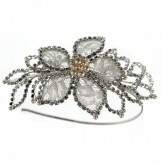 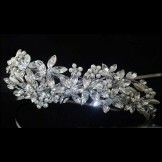 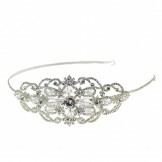 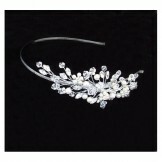 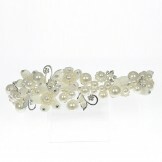 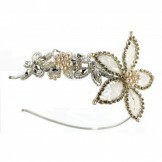 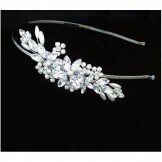 Vintage style Bridal side tiaras are inspired by the wonderful fashions of the 1920s, 1930s, 1940s and 1950s. 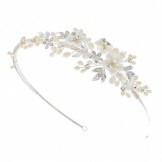 Here you will find beautiful bridal side tiaras that echo the glamour and style of these bygone eras; from the stylized geometrics of Art Deco and the glamour of Gatsby; the exuberance of Hollywood and dancehall days through to the iconic Dior designs of the fifties, each piece perfect for your vintage inspired wedding day. 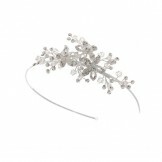 Our selection of bridal side tiaras includes beautiful designer made pieces with pearls, crystals, feathers and lace, each one exquisite in design and a delight to wear.